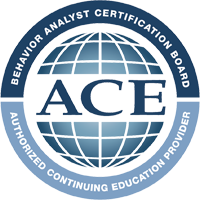 Many BCBA®/BCaBAs have a lot of experience supervising interventionists. Training, mentoring, and supervising our interventionists is an intensive and often challenging exercise that combines professional development, compliance monitoring, and client program management. In recent years, regulations on supervision have increased significantly. This includes requirements for registered behavior technicians' certification along with increased regulation of insurance billing requirements and state licensing. This is before policies and procedures for individual employers are taken into consideration. In this webinar we will examine the supervision guidelines from the BACB® and examine some common challenges BCBA®s face trying to comply with requirements from multiple authorities. We will use case examples and discussion. We will also discuss guidelines for ethical problem solving and the types of systems we can design for ourselves to assist us in being effective and compliant. Dr. Shannon Crozier is a Board Certified Behavior Analyst®, licensed in Nevada, who specializes in the learning and behavioral needs of children with ASD. She is passionate about translating the science of ABA to parents, teachers, and other professionals who work with children and youth with ASD. She has led hundreds of workshops on understanding ASD and effective strategies for families, educators, and other professionals ranging from medical students, social workers, search and rescue, and job coaches, to recreational camp staff and nannies.